Do It Scared®, Faith & Inspiration, Health & Wellness, Life Etc. Have you ever wished you could be just a little more confident? Maybe it was that moment you wanted to speak up, or ask a question, or grab an opportunity, but you didn’t quite dare. Some unspoken force held you back. Maybe it was that time you walked into a room full of strangers and felt yourself shrink back just a little bit, just hoping that no one would notice quite how uncomfortable you were. Maybe it was while you were talking to your boss, or to a co-worker, or to your parents or a teacher or your most important client, or anyone else who makes you feel just a little bit insecure. Maybe it’s all the time. But whether it is just once in a while or every moment of the day, when it comes to going after our big goals and dreams, and daring to create the life that we’ve always wanted—a life we love—so many of us let that lack of confidence in ourselves and our abilities stand in our way. We doubt our own greatness. We compare ourselves to other people. We let that voice of self-doubt in our head be the loudest thing that we hear. And it holds us back and keeps us stuck. But how would it feel to have the confidence to pursue your biggest goals and dreams without even thinking twice about whether or not you should? To be able to just confidently pursue any dream, any idea, and never worry about failing or making a mistake, or about what other people might about it? What if, when you looked in the mirror, you LOVED the person staring back at you, just as you are? We don’t always think about confidence as the counterpart to fear, but the truth is that the two go hand in hand. And the reality is that building your confidence is the surest way to start conquering your fears and daring to do it scared, so that you can finally dare to start creating the life you’ve always dreamed of—a life you absolutely LOVE. And know when I say that, and when I talk about creating a life you love, that I don’t mean creating a perfect life, a life where nothing ever goes wrong, or a life where you won’t still sometimes experience pain or adversity or struggles or challenges. That’s just life. There will always be obstacles to overcome. But daring to create a life you love goes much deeper than that. It means daring to step outside your comfort zone, and actually pursue those big goals and dreams, rather than allowing yourself to stay stuck out of fear of the unknown. It’s a life filled with meaning and joy—a deeper joy that only comes from doing hard things. It’s the satisfaction of knowing you’re giving it your all, and not letting anything stand in your way. And that is why I would like to invite you to join me for a five day challenge that I think has the potential to change your life in less than a week. 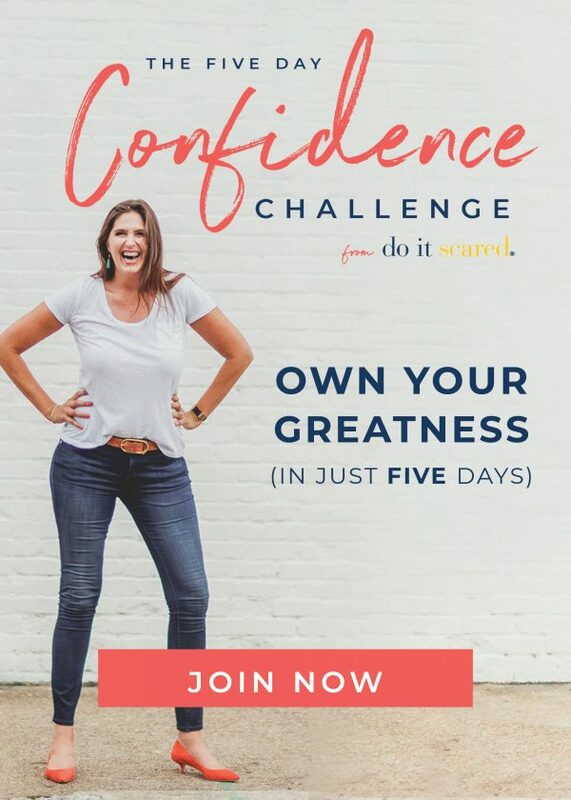 It’s called the Do It Scared® Confidence Challenge, and it is designed to help you take a few small but powerful steps in the right direction—steps that will help you reset those thoughts and fears that have been holding you back, and give you the courage and confidence to dream a whole lot bigger. 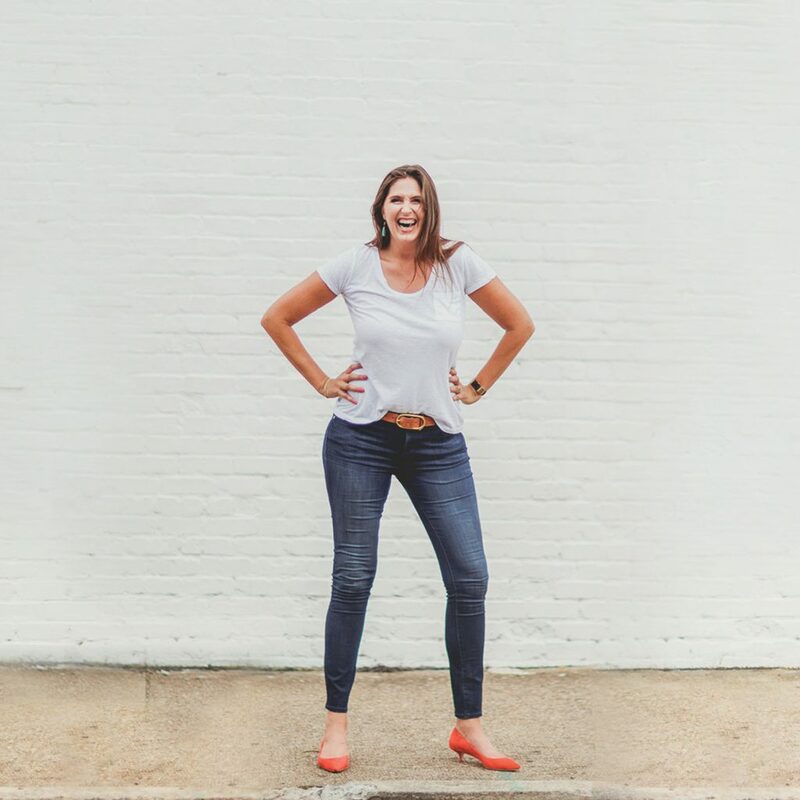 Over the course of five incredible days, we’ll dive deep into our own psyche and get clear not just about what fears are actually holding us back and keeping us stuck, but what we can do about them. 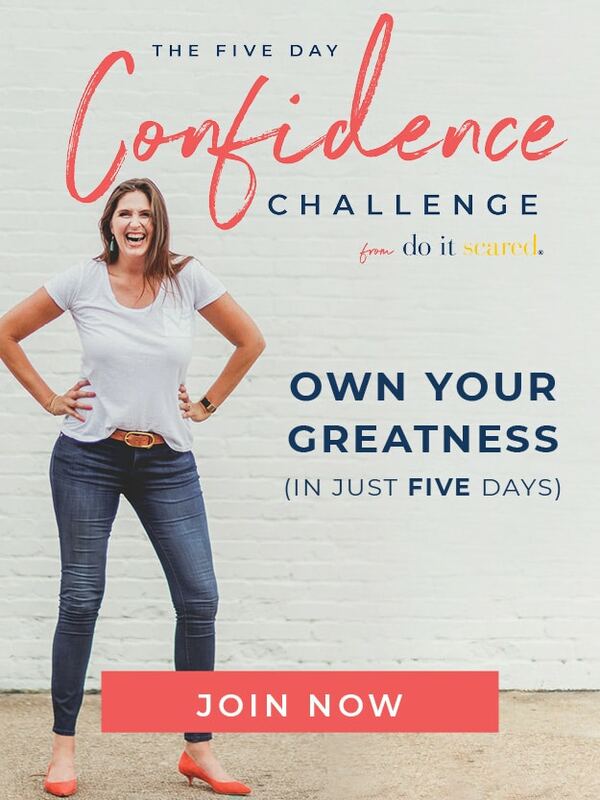 This fun & inspiring five-day email challenge is designed to help boost your confidence, inspire you to set new goals, and break you free from your comfort zone. 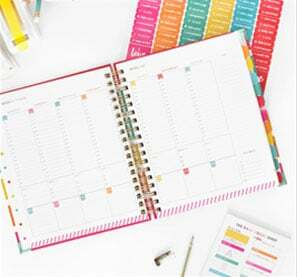 Each day you’ll receive a short but inspiring video lesson, along with one small challenge designed to help you take the kind of focused action that gets real results, real fast. You won’t believe what a difference five days can make in the way you feel about yourself and your potential. In fact, you might even become the most confident person you know. And you know what the best part is? The challenge is completely free to join, and all five lessons will be sent straight to your inbox, so that you can watch them on your own time. To sign up, simply click the button below. I’ll see you inside the challenge! Waiting for the time to be right, the confidence to be booming and all obstacles to vanish in thin air means waiting forever 😉 Starting something (new) will I guess always be accompanied iby a bit of fear. For me, accepting things don’t have to be ‘perfect’ (whatever that means) already helps a lot. 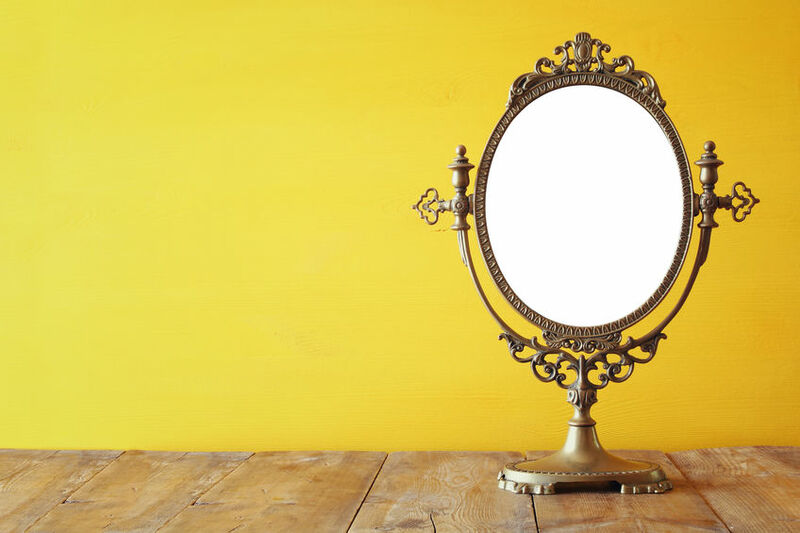 Each time I look into the mirror and tell myself something positive about myself and I have been doing this since december 2018. It helps because it give more self respect.